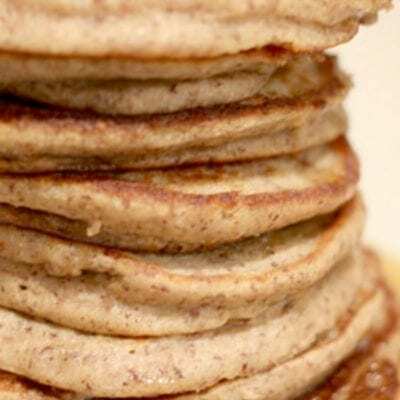 Paleo Pancakes made with hazelnut flour and bananas are the best paleo pancakes you’ll ever have! 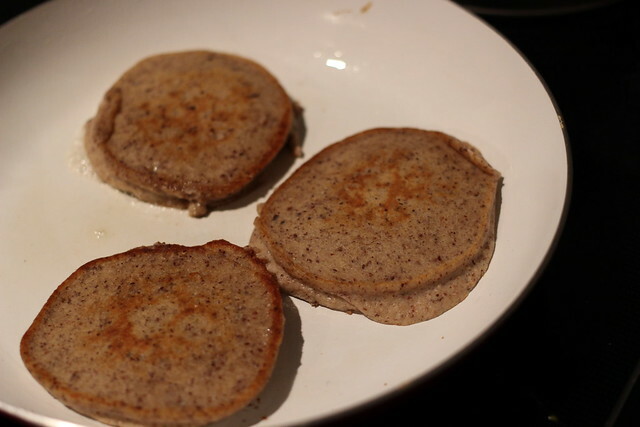 Paleo Pancakes are so good! Pancakes are my comfort food. I don’t miss a whole lot of things on the paleo primal diet, but my husband makes pancakes about three or four times a week and I cry a little inside each time. I tried those paleo banana egg pancakes that are all over the webz, but they were a disgusting banana omelet mess. Serious gross, folks. So last night I set out to create something yummy. I adore foods flavored with banana (although strangely, I’m not a huge fan of plain bananas) – and a good ripe banana gives a wonderful natural sweetness. So I used this as my base and went from there. 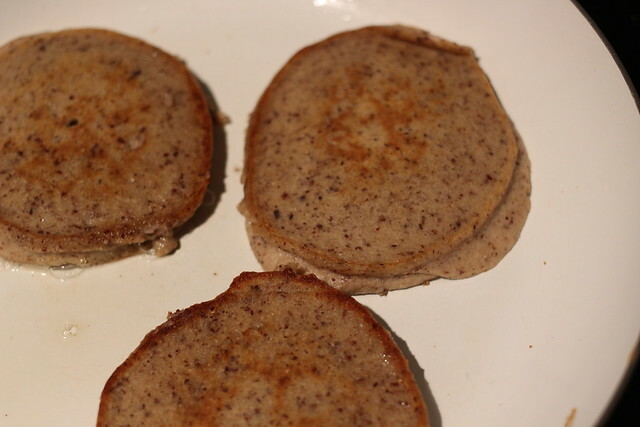 These Hazelnut Banana Paleo Pancakes are moist and dense and nutty and wonderful. They’re not trying to mimic a fluffy IHOP flapjack, they stand alone and are delicious in their own right. 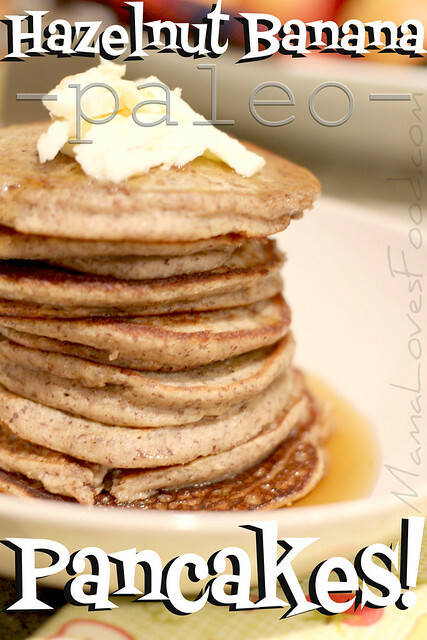 Paleo Pancakes made with hazelnut flour and bananas are the best paleo pancakes you'll ever have! 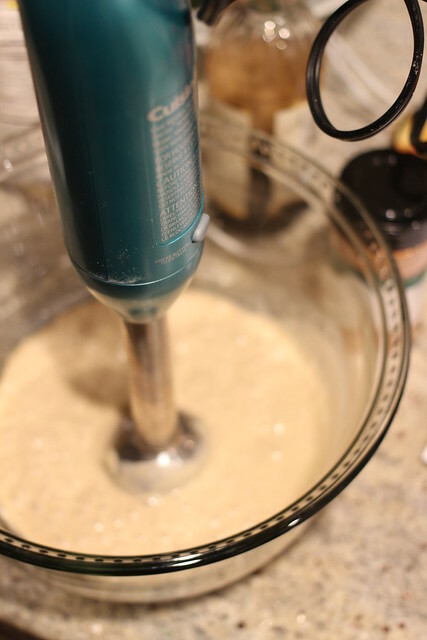 Put bananas, eggs, cinnamon, vanilla, salt, and coconut oil into a bowl and emulsify with a stick blender until it's liquified (alternately you could throw it all in an upright blender). 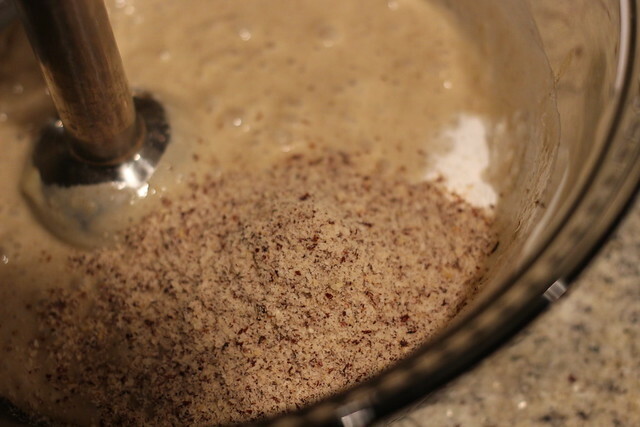 Add flour and baking powder, blend until fully incorporated. 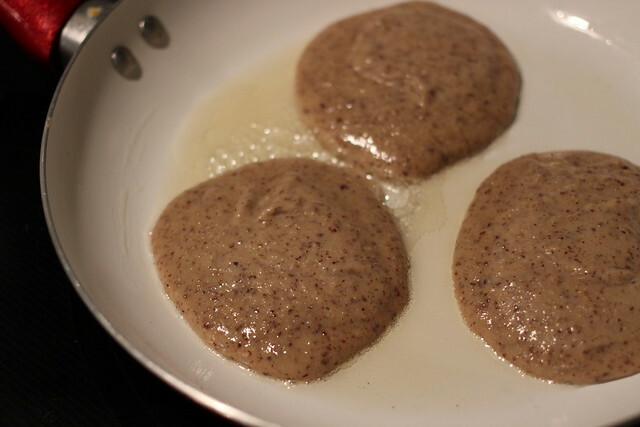 Cook on a low/medium heat non-stick skillet or griddle. Top with butter and drizzle with real maple syrup. Yields about ten small pancakes. Calories are automatically generated, for best results calculate with exact ingredients used. Put bananas, eggs, cinnamon, vanilla, salt, and coconut oil into a bowl and emulsify with a stick blender until it’s liquified (alternately you could throw it all in an upright blender). Looking for more paleo breakfast food? 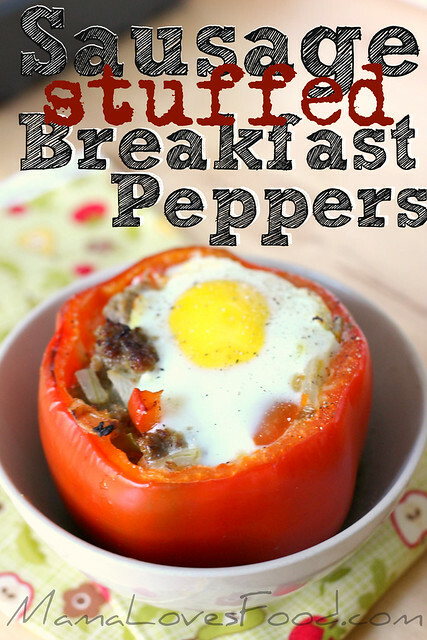 Why not try these Sausage Stuffed Breakfast Peppers! 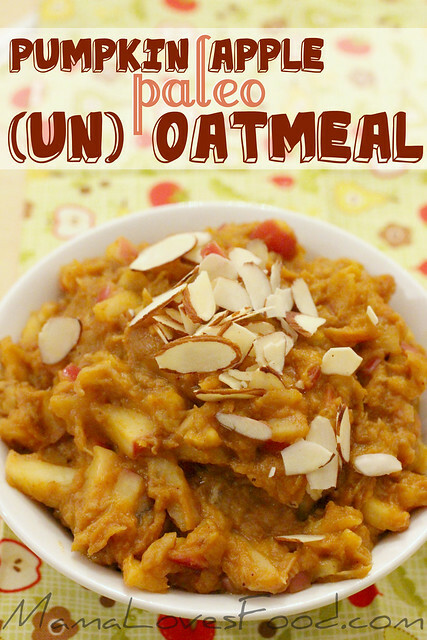 Or this Pumpkin Apple (Un)Oatmeal! I am so looking forward to digging in to a plate of these! That hazelnut and banana combo sound amazing, can’t wait to try these! What a wonderful combo of flavors the hazelnut and banana is! 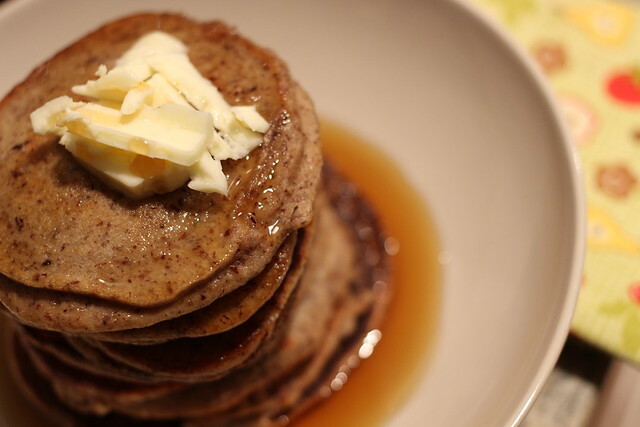 Great recipe if you are a paleo pancake lover!